Boeing and Royal Jordanian today celebrated the delivery of the airline’s first 787 Dreamliner. 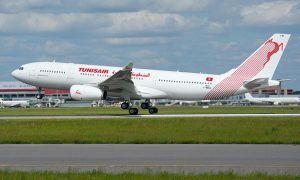 The airplane will play a central role in the Amman-based airline’s strategic plan for fleet modernization. Royal Jordanian acquired this airplane through leasing company AerCap. 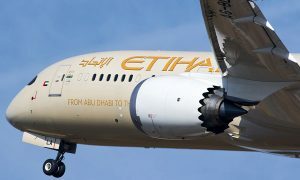 The 787 is the world’s most technologically advanced airplane with composite materials making up 50 percent of the primary structure by weight, including the fuselage and wing. In addition to bringing big-jet ranges to midsize airplanes, the 787 will provide Royal Jordanian with unrivaled fuel efficiency, using 20 percent less fuel than today’s similarly sized airplanes. 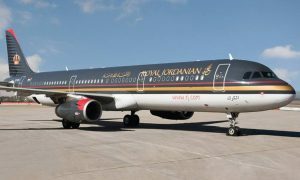 To support Royal Jordanian’s Dreamliners, Boeing is providing a comprehensive suite of support and services through its Commercial Aviation Services business. Royal Jordanian has received flight and maintenance training and will be using Airplane Health Management, a diagnostic and predictive capability that evaluates airplane operations data while airplanes are in flight and notifies ground crews of potential maintenance issues; a Rotable Exchange Program that provides a dedicated pool of high-value, mission-critical parts and manages inventory at a reduced cost; and Maintenance Performance Toolbox, a digital real-time-information tool that enables quick resolution of airplane maintenance issues.